Overview: Erick Dargan is one of the most underrated safeties in the entire country. Considering his stats from last season alone, the failure to name Dargan a Jim Thorpe Award Finalist was confusing at best. Even more baffling is determining why he was not invited to the 2015 NFL Combine. Dargan was the anchor for a secondary that faced some of the best college QBs every week. Dargan tried to make up for lost time at the Oregon Pro Day. Oregon’s Pro-Day was Dargan’s only chance to showcase his skills to NFL scouts, coaches, and general managers. Overall, Dargan’s performance was mediocre, putting up 17 reps on bench press and recording a 40-yard dash time of 4.74 seconds. Aside from his pedestrian measurables, observers were pleased with what they saw from the hard-hitting safety, believing that Dargan has a legitimate chance of being an impact player in the NFL. Dargan’s strengths have never been physical ones, but instead the safety has been praised for his instincts, awareness, and ball skills. Strengths: Dargan’s biggest strength is his football IQ. Last season, Dargan led the Ducks with 95 tackles and seven interceptions, numbers indicative of Dargan’s lofty football intelligence. Not only did his seven interceptions end up being best on the team, they also made up over half of the team’s total (13). 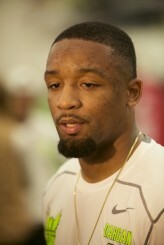 He finished tied for third in the nation, behind only Gerod Holliman of Louisville and Senquez Golson of Ole Miss. His ball skills were truly some of the best in CFB last year. Dargan has perfected being in the right place at the right time in order to make up for his lack of top-end speed. His ability to read opposing offenses shows that he can adapt to what he is being given. Dargan is also an above average player at jumping routes and closing gaps between WRs. Considering that he lacks the speed of a top man-cover safety, Dargan’s production is even more impressive. When asked about Erick Dargan, Defensive Coordinator Don Pellum said that “[h]e makes timely plays. We need him.” With Dargan’s natural ability to make plays combined with time to work on his game, we are confident in his future success at the next level. Weaknesses: Dargan’s main weakness is his lack of athleticism. Dargan’s overall ability to play the game of football is self-evident. 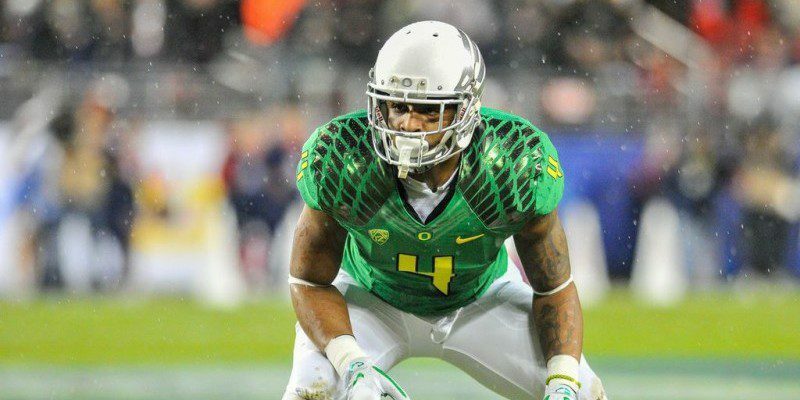 In fact, last season Dargan was the most consistent player on the Ducks defense. However, even the most steadfast player has faults. 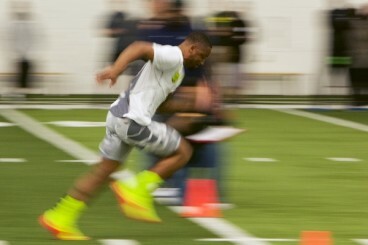 As previously stated, 40-yard dash time was an unimpressive mark for most NFL safety prospects. For comparison’s sake, the top safety at the combine ran a 4.45. Had Dargan participated in the Combine, it would’ve been the second slowest out of a group of 19 competitors. Dargan’s 40 time needs work. Without top-tier speed, Dargan might find it difficult to close out on receivers like he did in college. His lack of speed will also reflect poorly in scouts’ evaluations when considering his ability to defend the run. Dargan is also slightly undersized, which immediately puts up a red flag for NFL scouts considering the ever increasing size of pro WRs.